This is the main menu for CharlestonCounty.org. Please use the right side menu to access the department or section menus. The right side menu will change depending on where you are in the website. This menu is for the Charleston County Sheriff's Office (sheriff.charlestoncounty.org). Use the left side menu to access the main menu for CharlestonCounty.org. 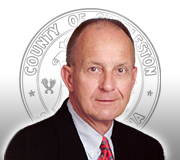 This is the official web site for Charleston County Government. Copyright © 2000-2019, Charleston County, South Carolina. All rights reserved.